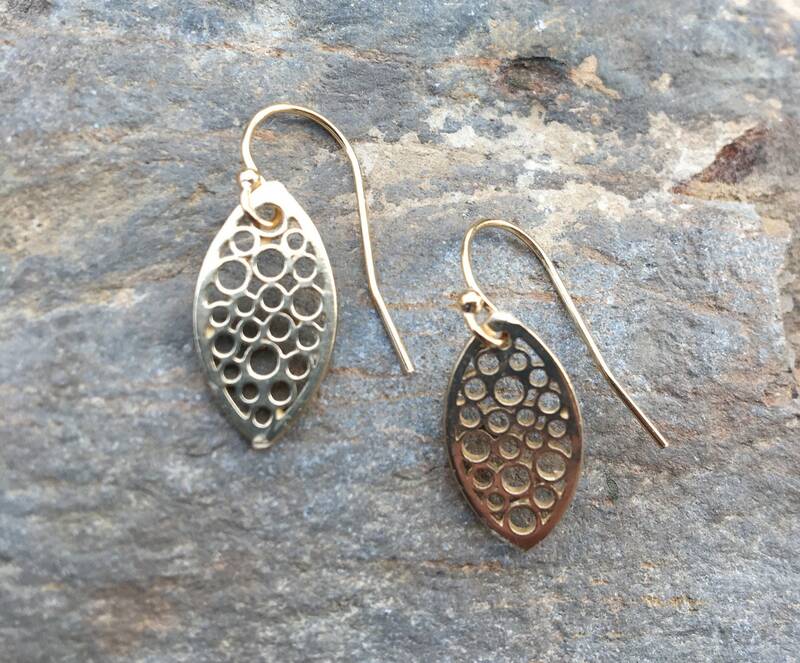 These shiny brass marquise linked earrings are light enough to wear everyday. 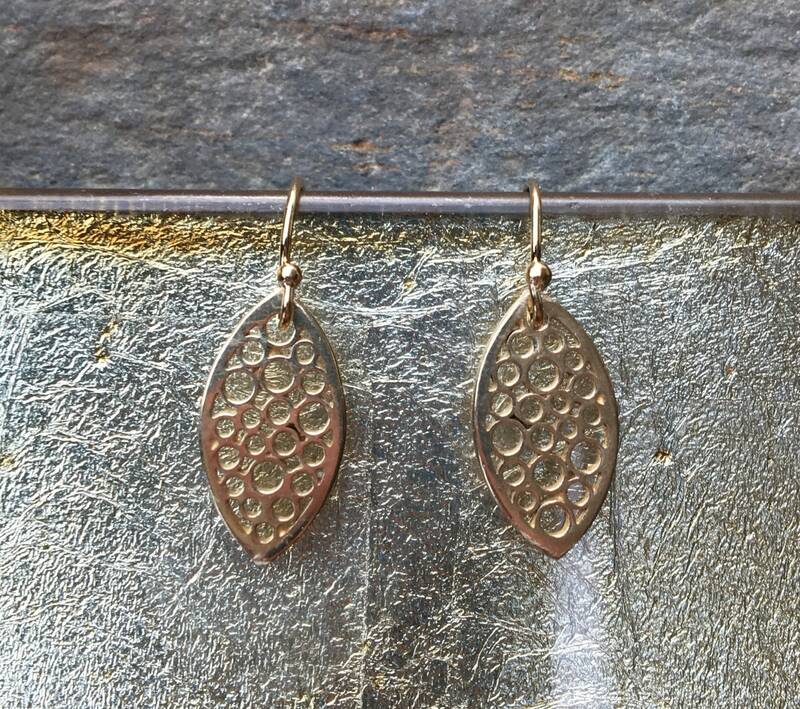 Brass drops have a delicate, bubble design. 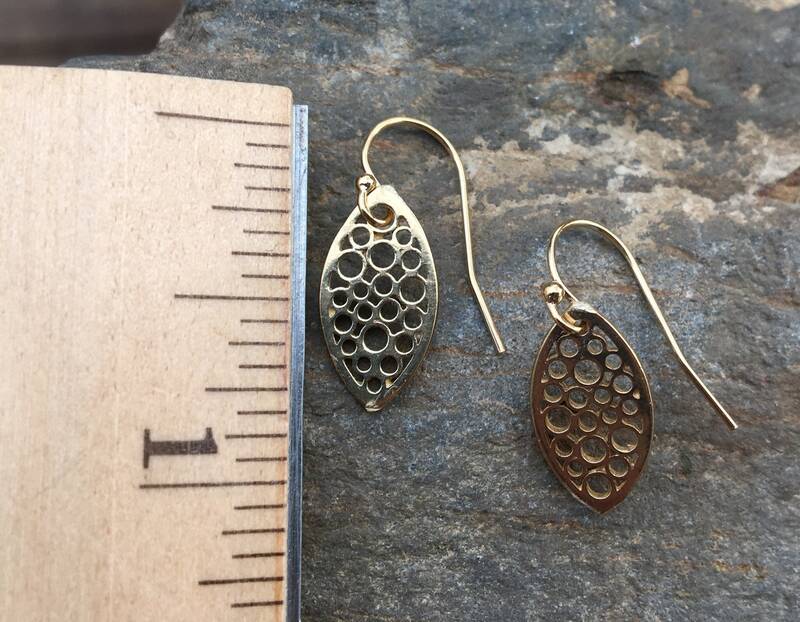 They swing from 14k gold filled earring wires. They measure 15/16” long including the ear wire. The drop measures 3/4” long & 3/8” wide. Clear safety backs will be included to keep your earrings secure on your ear. Earrings will be packaged in a box for gift giving. The box opens/closes with a white magnetic bow.